Four paintings as thick as grass. They weren’t like this before. Last time they were funnelled, siphoned. Now scrubbed. Mix ochre with egg, get yolk. We are sat here in your studio with four paintings on the table in front of us. These could feasibly be the paintings you described in the note. 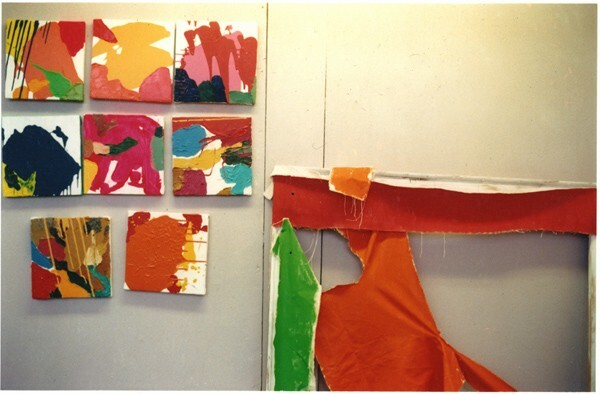 Each painting is roughly 40cm square, and consists largely of flat areas of bright colour, gouache on paper. A: Watercolour, my mistake, sorry.